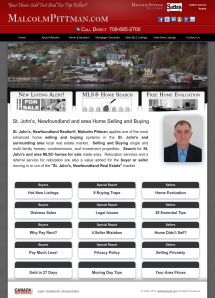 Real estate websites were once the last thing a real estate agent would add to their real estate marketing strategy. Your website should no longer be used just to say to your buyers and sellers that you have one. The Performance Web Page is just one of the SellingToolz suite of real estate websites and can easily be adapted as an essential component to your Internet lead generation and marketing efforts. It is branded or what some refer to as a personal real estate website. It offers an entire list of powerful features such as the ability to add YouTube videos and a big button theme designed to encourage buyers and sellers to opt-in with their contact information. With 94% of buyers and sellers going to the internet to start their real estate search, as a Real Estate Professional to increase your chances of success it is important that you intercept them as they are entering the real estate market. When you meet these buyers and sellers as they start their search, well before they select another real estate agent, you will have effectively eliminated the competition elevating your possibility of becoming their real estate agent of choice. You will likely to be the only real estate agent following up on these buyers and sellers. When a buyer or seller initially lands on your website, they will make a decision to stay or leave within and average time of nine seconds. Having a website that encourages visitor involvement is one of the secrets to website lead generation. As you can guess, if the visitor leaves your web page and does not get actively involved, they are not coming back, causing you to lose your chance of meeting them and establishing a client relationship. This was the main reason for creating what we refer to as the big button design, resulting from years of testing and building websites we have discovered two branded versions that dramatically increase lead generation, visitor participation and lead capture. They are the Performance Web Page with its big button design and the Red Hot Web Page with a design where the buttons are immediately viewable to the visitor upon landing on your website. We have tested these designs against several other styles and none have yet to come close to the lead generation that these real estate websites have achieved in the branded web page category. Other major enhancements are the built in SEO or search engine optimization capabilities, SEO is one of the critical requirements that all branded websites must have in order to appear in the top of the search engines. The Performance Web Page has SEO features built into the system, most real state websites simply don’t! The vast majority of websites do not give SEO any consideration because their creators often do not understand the concept or do not want to bother adding these essential capabilities for their end users. With carful keyword selection and other SEO strategies, you will dramatically increase your website page rank and of course benefit from the traffic a much better search engine position brings to you. The Performance Web Page was created so that you as a busy real estate agent can hit the ground running. The personal agent administration area will enable any Real Estate Professional to have their real estate website up and running in less than thirty minutes. A selection of special reports are included for you to offer to your website visitors There is even a feature that will enable you add your own special reports and opt-in pages, greatly improving your ability to grow your buyer and seller opt-in list. 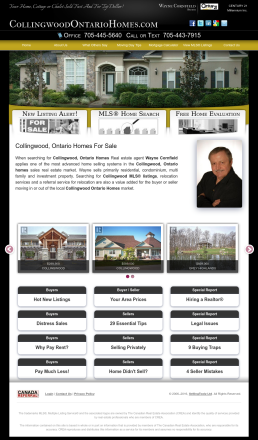 The Performance webpage links to local, office and national listings databases and we are adding the ability to load individual listings with an auto load feature, creating automatic lead capturing opt-in pages. We have even built the website to give you the option of adding featured photos in the header, such as skyline pictures from around your local market area. You can use the header to feature your team, making your website a great recruiting tool. Add a seller’s property photos for gaining listing presentation leverage, or homes form the target market price range and style of real estate that you would like to specialize in. The website comes with pre loaded header photos and a built in color selector giving you the flexibility to choose any look that you desire for your overall website look and feel. Simply put, as a 20 year veteran real estate agent that was always prospecting, and having invested time and money for over a decade building real estate websites for the purpose of lead generation and lead capture. 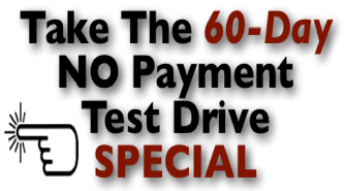 We encourage you to take our 60 day test ride and try this website and the rest of our real estate websites out. 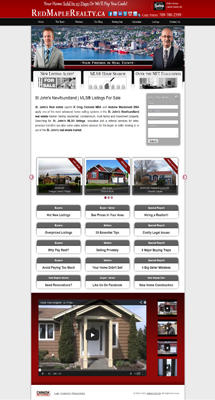 See for yourself firsthand how amazing a real estate website the Performance Web Page is. I bought the SellingToolz System, after speaking with James and he was very honest with me from the beginning. He took the time to explain everything. Not having any leads and struggling to find a client, this was a opportunity for me, so I took it. Believe me it was the best investment of my career! Garen Simonyan – Groupe Sutton Excellence S.B. Privacy: We won't rent, give or sell your details to ANYONE! Unsubscribe anytime.